Ask users of Stanley hand planes which type is the best to use on the bench and you will likely spark up an interesting discussion of the merits of the different types. A large percentage of woodworkers will choose type 11 as the best bench plane that Stanley produced. Production of type 11 planes occurred between 1910-1918 according to Roger Smith’s type study. The features of the type 11 planes include 3 patent dates behind the frog, frog adjuster, lateral adjuster, smaller diameter cutter adjuster knob and the last type to use a low knob. 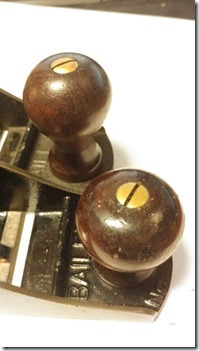 The type 11 is so well-respected that it even gets mentioned as the best vintage Stanley plane to buy other than the Bed Rock line by Christopher Schwarz in his book Handplane Essentials. One of the notable features of this iconic plane is the use of the V trademark which was only used 1912-1918. The V trademark is a common trademark and in my opinion, is one of the sharpest logos that Stanley ever used. However, one place where the V trademark is harder to find is in the Canadian market. Since the Canadian tool market was rapidly expanding, Stanley Rule & Level decided to expand to a factory in Quebec. The first gesture of the American company was to become incorporated in Canada on February 7, 1907, under the name of Stanley Tool Company of Canada Limited (Stanley Canada). 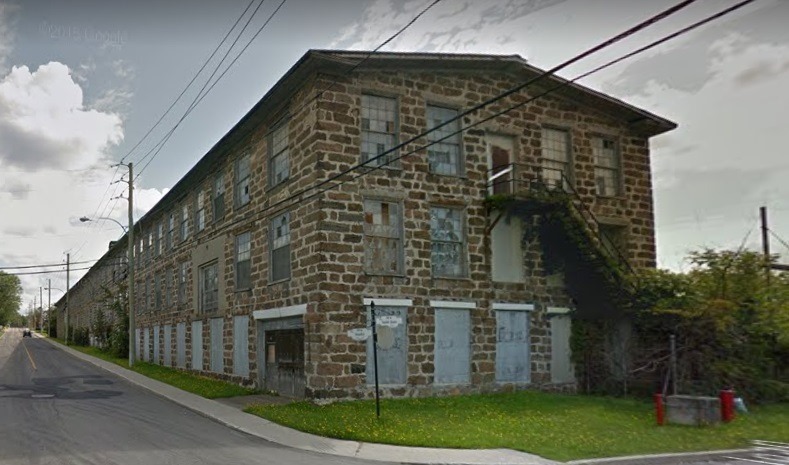 By the summer of 1907 Stanley went on to purchase Roxton Tool & Mill Company (Roxton Tool) in the tiny village of Roxton Pond, PQ. Even though Roxton Tool had existing buildings which were only a few years old, Stanley Canada decides to build new buildings to meet their standards and needs. The new plant is completed in 1909 and in addition during the 3-year period of 1907 to 1909 Stanley builds another 6 buildings. To use up the existing inventory from Roxton Tool, Stanley continued to make and market the Roxton Tools using their name. This stopped about 1922 when the inventory was gone. 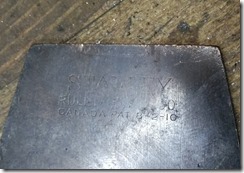 Within a few short years after the purchase, Stanley Canada was making a variety of tools including the No. 45 and No. 55 combination planes and eventually manufactured 80% of Stanley’s product line. 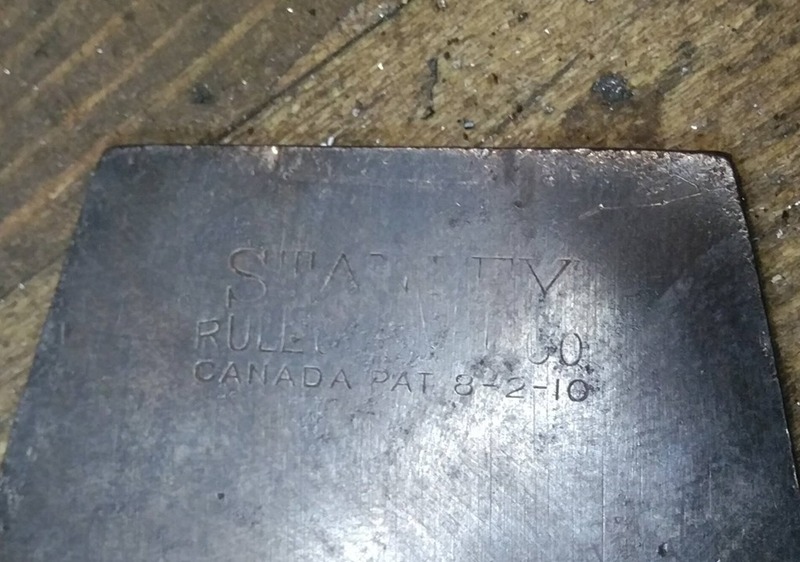 Exactly when Stanley Canada began manufacturing metal planes is unsure but most likely around 1911. At that time Stanley Canada chooses to use a different trademark than that used for the US market. The Canadian trademark is very similar to the T trademark used in the USA (1909-1912). 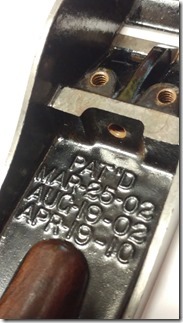 The difference being the use of patent dates instead of the place of manufacture. 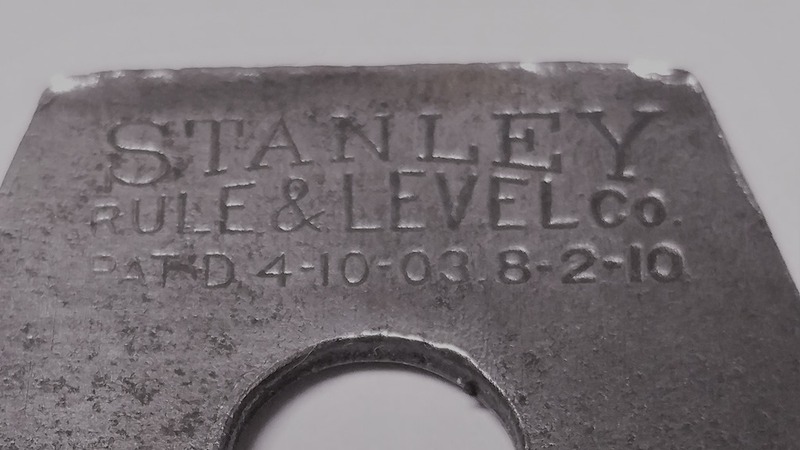 Stanley stamped 2 patent dates into the plane irons. The dates, 4-10-03 and 8-2-10, refer to Canadian patents dates. Stanley T trademark USA Left. Stanley T trademark Canada Right. One item of interest is that even though the plane irons had the Canadian patent date stamped, the beds continued to use the US patent dates. It is likely that the beds were cast in Canada using templates produced by Stanley in the USA. Issue date: April 10, 1903 Canadian patent #80368. This patent corresponds to US patent #696,081 issued Mar 25, 1902, which is the two-step frog and raised frog receiver. 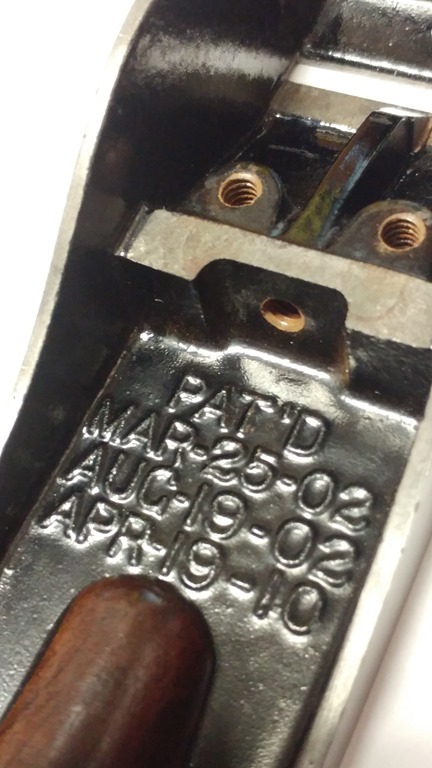 This patent date was cast into Stanley-Bailey bench planes in the US from type 9 through type 12 along with patent #707365. Issue date: August 2, 1910 Canadian patents #127276 and #127277. These patents correspond to US patent #955,556 and #955,557 issued in the United States on April 19, 1910. This patent is for the frog adjustment screw. Note: Stanley in Canada didn’t apply for the third patent date of August 19, 1902 listed on the bed. This invention is patented as US patent 707,365 and according to the history of Stanley Rule & Level Co., written by James Burdick ca. 1930, was never used, however countless millions of planes have this patent date cast into the beds in the United States and Canada. No documentation has been found explaining why Stanley Canada used 2 different trademarks or even why they chose to use a different trademark in Canada and is likely to remain another mystery that is for now lost to time. Next Article Stanley Canada Sweetheart era. Previous post Tuning time. What Vintage Hand Plane is Best?